Christmas is nearly upon us and our business clients are in full swing with their festive marketing. From window graphics to gift vouchers and christmas menu printing we have every essential bit of marketing a business could and would need this Christmas period. We’re not finished there though! For those business and personal clients looking to send personalised Christmas cards, we’ve got plenty of time to make sure your orders are processed in time for the final Royal Mail sending dates. Friday 18th is the last day you could pick up your Christmas cards to get them sent before Christmas and so we recommend placing your order on or before Monday 14th December. Placing your order before this date ensures our design studio and print team will have enough time to get your order ready with a little bit of time to spare. All our Christmas cards are printed on a beautiful 350gsm silk and printed single or double sided. The choice is yours. All personalised Christmas cards come supplied with luxury white envelopes to ensure all you have to do is write a personalised message, lick and stick the envelopes before sending. Click here to order your Personalised Christmas Card Printing. 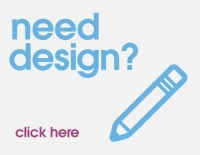 Please also remember that if you require design this will add up to a week to your lead time. If you know you require a design and print project before Christmas, it would be best advised to schedule this in with our team as early as possible. There will be no design or printing service across the Christmas break and all enquiries will be responded to on our return. At this time we’d like to thank you all for your continued business throughout this year and next. Working together our aim is to help grow your business. As you grow, we grow too and this partnership and aligned goals are exactly why we always do our best to go above and beyond within all areas of our business. Thank you and we look forward to working with you real soon.